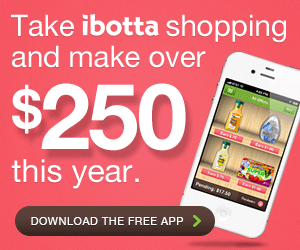 Ibotta is this great app that you can use on an iPhone or Android phone and it has tons of offers for products that you would usually buy anyways. Here is why it is so GREAT! It pays you CASH BACK for the products it has featured!! It is so easy to use and it pays you back usually with 15 mins of redeeming and offer. CURRENTLY you will earn a $2.00 Bonus for signing up and claiming your first offer within your first 2 weeks. Tap on a product and you will see 3 tasks to complete, SUPER EASY, usually learn a fact about the product, take a quick poll and share on Facebook. Each task you complete gets you to that total amount you can earn for that product, make sure you do all of them before redeeming or you will not get the full amount. They also now offer Online Cashback offers. Your shopping must begin with them in order to get the payment. They pay you through Paypal, Venmo and several Gift Card Options like Starbucks. Ok so you have purchased an item that was in the offers and you get home, DO NOT LOSE YOUR RECEIPT!! And keep that barcode handy also on the product, or verify the product in the store. Get yourself a spot that the receipt will stay well lit lying flat on a counter or table, tap on redeem for the product you purchased, it will have you take a picture of your receipt, if the receipt is long make sure you keep adding sections until you have the full thing, this is VERY IMPORTANT. Now just sit back and wait for a notification that you have been paid! TEAMS!! Thats right your and your facebook friends that use Ibotta are a team now. As long as you claim 1 offer in a month, and the rest of your friends claim offers that all together total at least $10 in offers, you will earn $1.00 for the Monthly Teamwork Challenge. This started June 2014 and my friends hit that by the 2nd week so you can see you will get that extra $1 usually pretty easy. * You have 7 days from date of purchase to claim a receipt. This even means if 7 days ago you bought something and it was not on Ibotta then but it is now, yes you can claim it. * You earn $5.00 per friend you refer, after they claim their first offer within the first 2 weeks, go to invite friends for your invite link. * Its takes anywhere from 5 mins up to 48 hrs to be credited from my experience. * Product offers are very specific in size and some times even type, be sure to read carefully before buying something if you want credit for it. 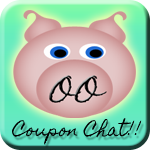 * Coupons do not affect how much you will be paid back for these offers.